Has your business begun advertising on Facebook yet? Facebook ads can be a profitable part of your business plan, but they can be a bit confusing. The three-layered ad level system of campaign, ad set, and ad can seem complex, which is why it is important to implement a consistent and clear naming system for your Facebook ads. 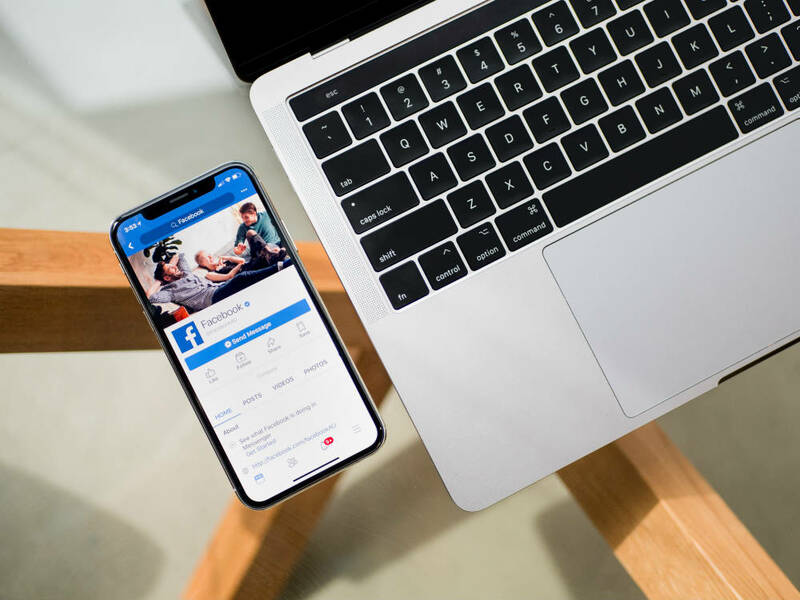 Naming your Facebook ads will help your business keep its advertisements organized, and will ultimately lead to more effective advertising on Facebook. What Are Facebook Ads Names? It is important to understand how these parts all work together to launch an ad in order to create an effective Facebook naming system and be able to easily identify your ads and review the results of your ads. Each advertising level needs to be set up and named well in order for your business to get the most out of its Facebook advertising. The campaign level of Facebook advertising is the level in which you will set your objective. Each campaign has only one objective. The campaign contains ad sets, which in turn contain the individual ads, so the campaign level is the largest, overarching level of Facebook advertising. Your objective might be traffic, brand awareness, likes, or a number of other options. When you set up your ad campaign on Facebook, you select one of these advertising objectives. Because campaigns are where the advertising objective is set, and each campaign has a different objective, the objective should be clearly identified in the name. Within a campaign, you can have one or more ad sets. Ad sets are groups of ads which share a budget, target, schedule, etc. The individual ads go into the ad set. There are typically multiple ad sets within a campaign, and you can use multiple ad sets to test audiences, budgets, etc. for a certain objective, to find out which is most effective. It is important to be precise and refined at the ad set level. You can create and save audiences with unique names so you can easily differentiate between audiences when creating new ad sets. An ad set name will typically include the objective of the campaign it is under and the audience. Within each ad set, there will be one or more advertisements. The ad is pretty self-explanatory – it is the singular advertised post, the image or video and text used in the ad. Of the three levels of Facebook ads (campaigns, ad sets, ads), there are the highest number of ads. Ads often look like any other organic Facebook post. The budget (which is set at the ad set level) will be allocated across all the ads within the ad set, and Facebook will use more of the budget on ads that are performing best. If there is only one ad within an ad set, this ad will use the entire budget. When naming an ad, it will often have the same name as the ad set it is in, with the objective of the campaign and the audience, as well as description of the image to make it easy to identify. When naming campaigns, ad sets, and ads, many businesses like to come up with a system for naming their ads. These naming systems will often be a combination of identifiers that may include information about the campaign and ads, the audience, objective of the ad, image description, and dates the ad will run, etc. Using a system like this makes it easier to identify which ads are which and allows you to evaluate and review the performance of your ads, campaigns, etc. What Information Should You Include in Your Facebook Campaign, Ad Set and Ad Name? In order to keep your ads organized and efficiently sift through them, they need to be properly named. But what information should be included in the names? If you’re running ads for multiple companies or pages, the first thing that should be included is the company name. You can then include the item promoted/ or the ad name, the objective, and then any other variable that sets this campaign apart from others. If you use a consistent structure for naming, you will be able to locate your ad campaigns easily later. If you want to check up on an ad and see how it performed, you can search using filters with information that you know was included in the campaign name, because you include consistent information from campaign to campaign. How Should You Structure Your Facebook Ad Name? Keeping your campaigns and campaign names simple and consistent will go a long way in helping your business stay organized and on top of your different ad campaigns. There isn’t necessarily a right way to structure your campaign names, but you will want to pick a structure and then stick with it, so all your campaigns are consistent. Category: B2B, B2C, recruiting, service promotion, professional promotion (classes, events, etc), general promotion, campaign (contest, drive, etc.). Ad Objective: Traffic, brand awareness, like ad, video views, promoted post. Audience: Whatever selected audience you have for the ad. Topic/Title or Details About the Ad: any significant details about the ad that will clue you in to what the ad is about. Image Name: We use this only for campaigns that have multiple ad sets and/or ads in each set so we can quickly pull metrics and identify each individual ad. Dates: The timeline of when the ad is running. You can play around with the naming system of your ad until you find what works for you, but once you find it, stick with it! It will save your business time, resources, and maybe a few headaches when you keep your ad naming system clear and consistent. Remember the three-level set up of Facebook advertising (campaign, ad set, ad), and use information within the names of your campaigns, ad sets, and ads that will set them apart from one another. Efficient, effective advertising can lead to more business success for your company! Think you may need help setting up your Facebook ads? We can do it for you! Make sure to sign up for our free updates and feel free to contact us with questions! I believe in helping people to change the world! Helping others bring their passions and purpose to the world is what I do. My goal is to help you build the business of your dreams by leveraging social media and digital marketing. Learn how to build an online community, increase brand recognition and grow your business. Sign up for the SocialNicole monthly newsletter and the exclusive Facebook Marketing Success Checklist. There we will help you discover smarter ways to connect, engagement and grow your business using social media and digital marketing.